"Estée Lauder Cos.' fragrance Calyx has influenced many complex cleaning scents, as has Dior's J'adore, she says. Ralph Lauren's Polo Blue is another big force. "You get this marine smell of fresh air, with a touch of lavender and woodiness," Ms. Betz says. "Those notes are very desirable in cleaners."[...] 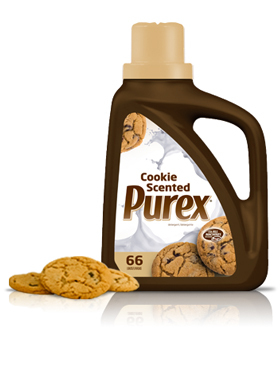 "Naming cleaning-product fragrances can be as nuanced as concocting them. Consumers tend to love hints of banana in their cleaning products. 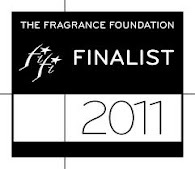 "But if you put it on the label, it doesn't work," says Steve Nicoll, an IFF senior perfumer. "Papaya is the same way. It's so unexpected that they can't accept it, yet the smell they like." Lavender works in reverse: "People like the idea of lavender but don't tend to like the real thing," says Ms. Betz. Most of the lavender-scented products are actually lavender "fantasies," an industry term for a hint of a scent that is combined with others. Lavender is usually combined with fruit, floral, woody or vanilla notes, she says." Just two of the most interesting (amidst an article with lots of interesting info appearing in the Wall Street Journal by Ellen Byron) on how functional perfumery -i.e. 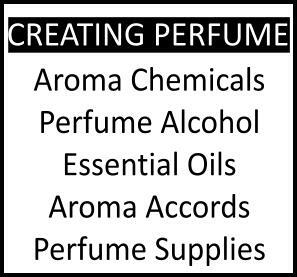 fragrance created to aromatize functional products, such as laundry detergent, cleaning fluid, window pane sprays etc.- really works. A serious point is made on how the "trickling down effect", that is to say the trajectory effect from fine fragrance (i.e.perfumes) into functional perfumery is increasingly shortening, making the transition quicker and quicker all the while. So when your favorite fragrance starts smelling pedestrian, or you find yourself pining after a specific cleaning product like a homing pigeon, you know why. After all, niche perfume brand Tocca was there before! There's also ample proof in the info by the industry professionals cited in the WSJ article that it all relies, much like with fine fragrance, on fantasy...As if we ever doubted it. 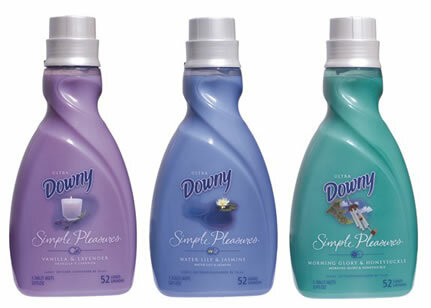 BTW: Another interesting article by the same author tackles the issue of overuse of detergent by American housewives. Indeed as I mentioned to you before I have fallen in love with the scent of a natural dish detergent (Meyers Bluebell) and want it in perfume format in the worst way. (I guess the opposite of what this post is about :) !!) 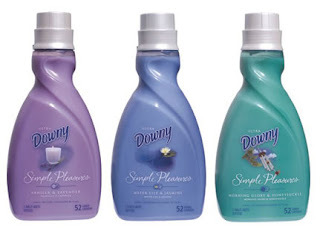 The difference, however, is that the fragrance in this dish soap is derived from all natural essential oils (bergamot,lavender,jasmine,ginger,patchouli,vetiver and clary sage) so it isn't a "fantasy" scent. I have even taken to hand washing my clothes with it! I guess this is what makes vintage fragrances so desirable- one wouldn't exactly wash with "Miss Dior" scented detergent! I DO recall your saying that. Yup, the reverse. Funny! :-D Perhaps since you already know all the notes you can consult a perfumer (many artisan ones which don't charge a fortune) to compose something for you! As to your theory on the desirability of vintages, you're absolutely right! Clever thinking on your part. It made them more special. Interesting posts as usual! In many cases, though, I feel the scent is just a gimmick to get the attention of the consumer. Almost all of these newly scented products do not survive more than a year or two. After the novelty wears off, it's time to introduce another scent. Would now be a good time for a pink cupcake dishwashing liquid? Interesting also the reference to jasmine, tuberose and gardenia, possibly the dirtiest flowers around, as fresh and clean (I just came back from a trip to Italy, where my mom's garden was full of blooming gardenias. JAR Jardenia is tame in comparison). I think most people would be shocked to smell a real jasmine or a real gardenia! (or a perfume actually reproducing them). We use eco-cleaners, which allegedly smell more natural, but I still find the smells odd - why should my bathroom smell of random citrus? I almost prefer using plain cheap white vinegar which then vanishes in an hour or so. And if I want my clothes scented, I can use lavender or (more often) lemon verbena bags I make myself - although often I prefer unscented, so I can play with perfumes without smelling of several different things. But this is Australia, where we can hang our clothes out in the sun & they smell of fresh air. When we lived in upstate NY, everything was always in machines, and it did get musty - maybe that's got something to do with it? When you cant get your clothes/sheets/etc outside in the air, being able to pretend that they were on a troical island or in New Zealand feels better? While they were clean, I never quite felt it until they got that sun-dried smell & crackly feel again - especially bath towels. Oh goody. I thought I was loosing my marbles over the entire line of Mrs Meyers products. I even considered trying some on my wrist . . . and then I stumbled across this lemon eucalyptus mosquito repellent. I tell you, it's better than some of the fine fragrances I've experienced recently! oh dear, I do hope they stop at this food-crazy stuff: I'm washing dishes to get rid of the food smell, no matter how tasty and tickling the buds, not to overlay another foody smell above. I don't believe the citrus=clean connection started just randomly. There was a strong, firmly rooted cultural association from people coming to the US from southern Europe, where the citrusy Eau de Cologne is used on everything as a feel good, feel clean product (see my entries on Eau de Cologne and Limon Kolonyasi). These are ooooooold habits based on tangible antimicrobial properties of citrus essential oils -and of alcohol itself of course!- so the connection was there. When the mega US industries needed to reference it, it was there for exploiting. I generally find that most added smells in products have a strong cultural association (for instance Greek companies try their hardest to reproduce the salty fresh, slightly bitterish feel of the sea in their detergents/fabric softeners; it's not just Calone here, trust me ~Why do it unless the audience has extremely positive associations with the sea? And wants a realistic smell in the product...). The same applies here, where you see rows and rows of clothes being hanged to dry in the sun. If there is a cultural aversion to one smell in Greece it is the smell of mustiness (and I find myself genuinely averse to it by reflection): it denotes one didn't do his housecleaning well, didn't dry the clothes in the sun, didn't open the house for fresh air to come in... Dry and fresh is better than humid and musty, it's as simple as that. I genuinely feel that having someone compose a scent for a functional product is a genuinely difficult task and one which shouldn't be laughed at. They have a limited budget, they have technical restraints (some essences and aromachemicals don't take well to the solvents, the colour of the product or the dilution process etc.) and they have to produce for the masses which is a feat unto itself. They do sometimes produce amazing stuff which is why we are so taken with some products over others I guess. The cultural associations with smells are amazingly fascinating. But I do find sun dried washing has a smell (mostly dry & a bit earthy) - there is something there, but how much is just the general outdoors I don't know. This explains why lavender never smells the way I think it should. I happen to love the smell of real pure lavender and I'm always disappointed by what is touted as lavender scented. I find that lavender is perhaps THE most misunderstood note of them all. All the talk about how soothing it is in aromatherapy and in contrast real lavender essential oil is rather stimulating, piquant, aromatic; a tonic note rather than a soporific. Don't you find? My favorite thing is debunking what Marketing has put on the packaging of a product compared to what the scent of the product actually is. As you say above, when a product claims to be 'lavender' it hardly ever actually is! you're wise! Indeed most of the time there is a very promising name which ends up smelling...the same as a hundred other products of similar ilk. That's probably because each company has to have their own "segments" of the population pegged. These things rely heavily on focus groups I presume. 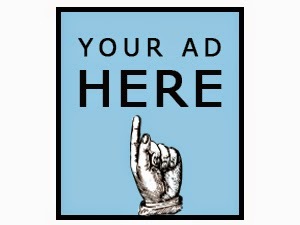 You're completely right about the focus groups! And, in actuality, my wisedom ;-) comes from working for a fragrance company on the consumer products side, hence my knowledge! It is fabulous understanding (and being a part of) the creation of fragrance for consumer products, but at the same time it was very depressingly disenchanting !